This recipe for Grilled Smashed Fingerling Potatoes with Creamy Dill Sauce is a great side for grilled meals. The creamy, zesty dill herb sauce is the perfect accompaniment to the crispy grilled smashed fingerling potatoes. 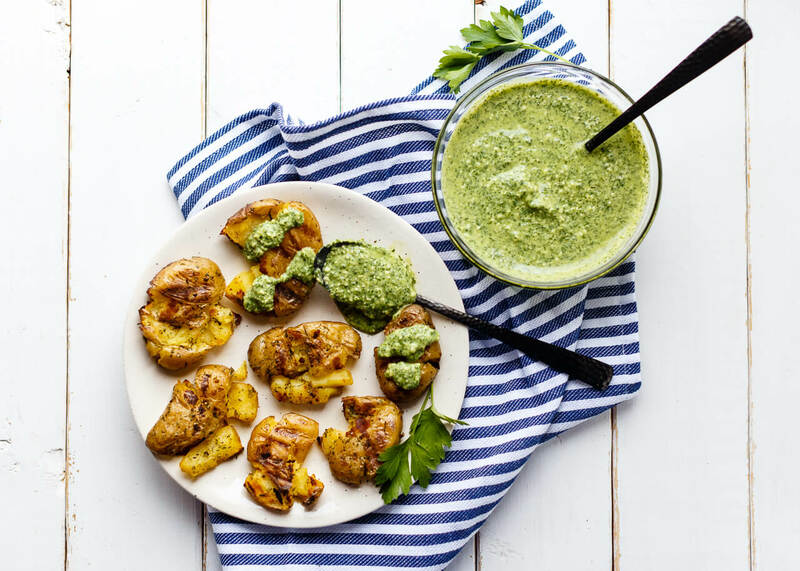 Both the Grilled Smashed Fingerlings and the Creamy Dill Sauce are vegan and gluten-free! In a large pot, cover fingerling potatoes with cold water. 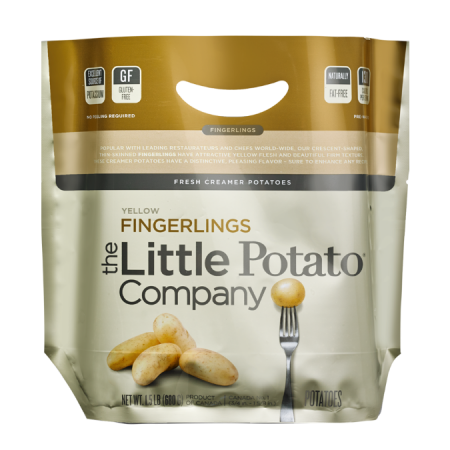 Bring to a boil and cook for 25 minutes, or until the largest fingerling is fork tender. Drain fingerlings and let them cool for 15 to 20 minutes. In a food processor, combine all ingredients except olive oil. Process on high until herbs, cashews, and garlic are evenly and finely chopped. While the processor is running, slowly pour in the olive oil. Process until the mixture is creamy. Set aside until grilled smashed fingerlings are ready. In a medium-sized bowl, mix together fingerling potatoes, olive oil, minced garlic, salt, dried dill, dried parsley, and black pepper. Use a potato masher or flat spatula to smash the fingerlings to approximately 3/4-inch thick. Avoid over-smashing them to prevent them from falling apart on the grill. Brush smashed fingerlings with leftover oil. Preheat grill to medium-high heat. Oil grill grate. Grill fingerlings for five minutes, flip and cook for another five minutes, or until they are crispy and grill-marked. Remove grilled smashed fingerlings from grill and serve with creamy dill herb Sauce.